Manufacturing products for outdoor applications or those that require the product be exposed to UV light, require special specifications to stand up to various environmental conditions. UV degradation of industrial sewing thread is a physical and chemical change that results from irradiation of the base polymers by ultraviolet light. The UV energy absorbed into the thread leads to degradation of the polymeric chain and loss of strength in the thread. It can also affect thread finishes such as bonding as well as causing fading or spotting of thread dye. It is important to note that if a thread meets a standard in one environment, it does not mean it will meet the same standard under a different set of conditions. When thread is tested for UV resistance, it should be tested relative to the standard or to other threads tested under the same conditions. In fact, there is no real way to specifically correlate UV rating to an actual exposure time in the environment – you can only quantify “apples to apples” using ASTM testing / side by side. For example, if you are testing material in Florida and take the same material and test it in Maine – you’ll quickly understand the effects of the angle of the sun (UV exposure) and the difference in intensity. The same product may not last 5 years in both locations. Polyester is the most commonly used thread for outdoor applications that require exposure to UV light including pool covers, hot tub covers, outdoor furniture, outdoor coverings and more. Alternate threads (specifically nylon), will break down and degrade faster than polyester when exposed to similar elements. Known for its strength, durability, low shrinkage and stretch, polyester naturally obstructs UV rays and is therefore recommended for a number of outdoor uses. Compared to nylon threads, polyester has superior resistance to UV rays; however, without proper treatment – even polyester can lose much of its strength after prolonged UV exposure. Bonded Polyester: Bonded means that a thread has a coating that binds the individual plies of sewing thread together. In conjunction with an appropriate sewing lubricant, this can reduce needle heat, fraying, and yarn breakage during processing. Bonding makes thread stiffer and about 5% thicker than a soft thread that does not have a coating. UV Treated Polyester: In addition to the bonding step, Service Thread’s new UV Shield Polyester offers superior protection against harsh UV rays for outdoor applications. Strength degradation due to exposure is significantly reduced versus standard bonded polyester threads to help maintain seam strength and prolong the life of your products. We performed a series of tests on various polyester samples (including Service Thread’s UV treated SUNBLOCK™ polyester) under SAE J2412 @ 340 nm wavelength. 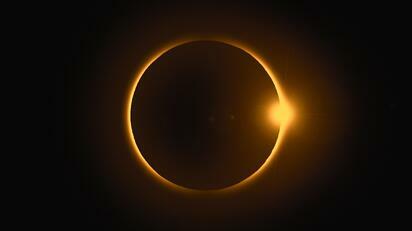 Samples were evaluated before and after exposure to controlled UV radiation. 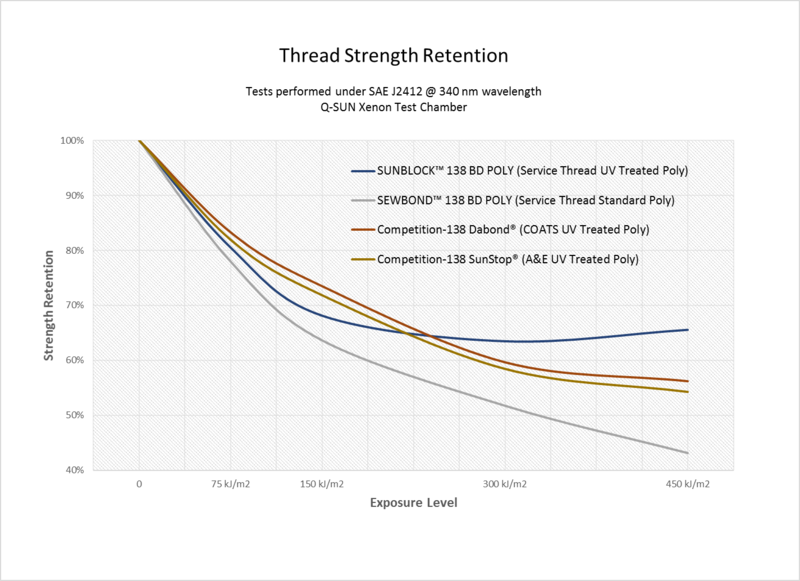 The results shown in the graph below are clear that Service Thread’s SUNBLOCK™ Polyester outperformed standard non UV treated polyester and competitor UV treated polyester samples. How does this data impact the life of your product? It’s important to consider that the samples were tested and compared to one another in the same environment setting and rated accordingly. It is imperative for product manufacturers to understand circumstances in which industrial thread is tested and the test method used before a rating can be trusted and applied to a product used in any given environment / climate setting. What challenges have you encountered with selecting the best UV rated polyester for your application? 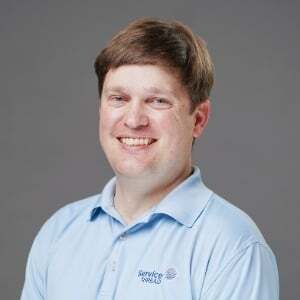 Learn how Service Thread’s experienced materials specialists can help you improve the performance of your product.